Clearly, Mr. Krieg is wrong to say there is no such thing in Mormonism that teaches “Jesus and the devil are brothers.” Indeed, the concept is foundational to the Mormon worldview which sees Gods, angels (including fallen angels) and human beings “all of one species” (LDS Apostle Parley Pratt, quoted by Robert L. Millet, The Mormon Faith: A New Look at Christianity, 39). This Mormon theology is entirely incompatible with biblical Christian theology, exhibiting one reason (of many) why Christians believe Mormonism follows a different God and a different Jesus. This entry was posted in Misconceptions, Nature of God, Nature of Man and tagged Doctrine, Jesus and Lucifer. Bookmark the permalink. actually knows something about —- politics . I wonder how Mormons feel about Mr. Kreig misrepresenting Mormon doctrine the way that he does. I don’t know how many times I, or other Christians who post here, are told by Mormons that we just don’t understand Mormonism or that we misrepresent it. The problem is when invited to straighten us out on our misconceptions, they fall silent. My guess is that Mormons will like what Mr. Kreig writes about Mormonism even if it’s wrong. Now why do I think Mormons would like the above quote and give it hearty approval? Because Mormons live in a parallel universe in which what they say they believe is inconsistent with what their church says they believe. That’s why they can claim to be monotheistic when clearly they are polytheistic. They can claim to be Christian when the god they worship and the Jesus they claim don’t match the Christian God. That’s why they can say they are saved by grace and then strive to perform works that they think will transform them into gods. I don’t think Mr. Krieg is much of an investigative reporter. What we are talking about here isn’t just another way of looking at things. The core of Mormon theology rests on a mother-father god combo off on the planet Kolob giving birth to spirit children of which Jesus and Satan are two. One was the good son the other the evil son. I don’t know how Mr. Krieg could miss that. I guess it’s just all Mormon folklore anyway! apostles/prophets who are not immoral or sinister looking men but who also teach false doctrine. of being kind,etc these are all good and consistent with the Bible’s instructions for us today. have departed from Biblical prophets concerning vital truths about this God , Jehovah. have departed from the prophets/apostles recorded in the Bible . How so ? What do Mormons want non-Mormons to know about their religion? Certainly it isn’t the stuff that lurks just beneath the surface and which Mormons either are ashamed or embarrassed about. There’s a reason why Mormons have a well earned reputation for obfuscation, omission of critical information and out right lying regarding their history and beliefs. That’s why the new tactic in Mormonism is to claim as “folklore” the things that are really off the wall. I remember when I first heard about Mormonism from a recent convert back in the early 1970s. He gave me some information and some how the idea that Joseph Smith wore “magic spectacles” to translate the golden plates he found was included (in the information). I was between being incredulous and laughing hysterically at this notion. BTW, that was even before my salvation experience where I wasn’t operating with the gift of discernment. This magic glasses claim was bad enough. Can you imagine what I would have thought if the truth had been told about Smith putting a magic rock in his hat and shoving his face in the hat to receive printed messages floating in the air? I don’t think Mormons want to lead with this information. In fact they don’t even “reveal” it to their own home-grown members. 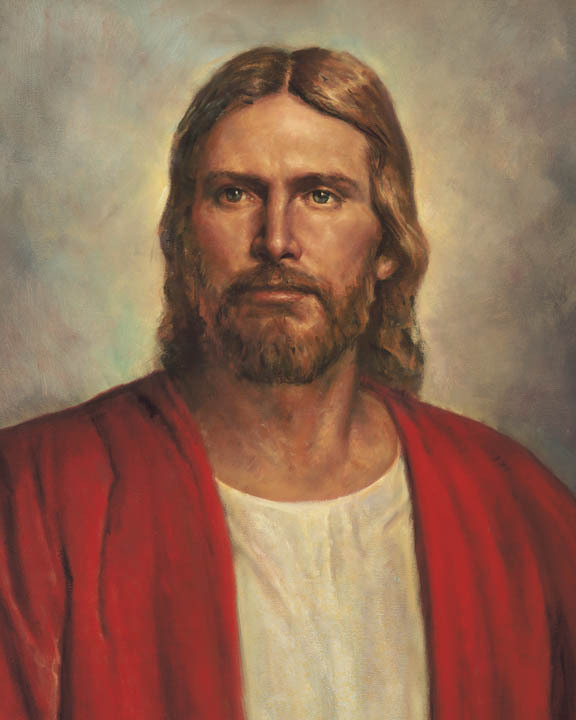 Mormons want people to believe that they have restored the gospel as originally delivered and have prophets and apostles that lead their church just like the original Christian church had. Mormons certainly don’t want people to know that they teach that Jesus and Satan are brothers, that there is a god and his many goddess wives procreating spirit children and that men can become gods. Mormons think that these things are really too spiritually deep for the ordinary person. Mormons delude themselves with this thinking. Falcon, I suppose at this time some Mormon will accuse us of tearing down their religion. I’ve posted this link several times and I think it’s a good time to do so again. It’s titled “Why People Leave the Mormon Church” and it was done by John Dehlin the host of “Mormon Stories”. At the time that Mr. Dehlin did this presentation, he was an active LDS member and was attempting, I think, to inoculate people from what has become known as “shaken faith syndrome”. This malady occurs when Mormons find out that what they’ve been taught or failed to be taught by the Mormon church has a credibility gap. That is the truth does not match reality. Mr. Dehlin’s refrain is “But that’s no reason to leave the church.” I always thought that was pretty funny. Another refrain is, “The church may not be perfect but it is good.” or “does a lot of good”. Evidently Mr. Dehlin couldn’t reconcile truth with fiction as the last I heard he had left the Mormon church. The point is that there is what the Mormon church says about what they believe and the history of the church and what they actually believe and what is true about the history (of the church). Some folks want so badly for the LDS church to “be true” that any explanation will do, no matter how absurd or convoluted. The point is, when people get the unvarnished truth about Mormonism, it’s pretty tough to hang in there. Mormons have trouble reconciling the truth about their religion with the facts so they do the Mormon brain snap and make fantasy their personal reality. The truth may set them free, if they are willing to go there, but it will make them miserable first. It’s worth the trip and the occupying personal turmoil though. they’ve been detoured by their spiritual authorities who teach serious errors about Jesus. I see a sort of “but that’s not what it really means” defense by Mormons of some of their most controversial doctrines. Some how Mormons have it in their heads that what is clearly stated by their own publications, actually means something else. There is this tendency by Mormons to “remake” Mormon doctrine to their own liking. We’ve seen that here numerous times with Mormon posters. What is obvious to us, isn’t obvious to them. I’m thinking there’s a certain amount of denial on their part. I don’t know if there is a Mormon doctrine that I hate, yes I said hate, more than the one that’s the subject of the above article. It’s very difficult for me to reference it. There’s no excuse for this kind of blasphemy. This is what happens with false prophets, apostles and church leaders. Mormons have this idea that they have this super spiritual insight and knowledge and understanding. What fools! They don’t know God. Some deluded fool with a magic rock tells them something and they believe it. In the Book of Romans Paul tells us that men are without excuse. I’m posting a link to a short article and five minute video that relates directly to the issue of what Mormons believe. In this case it has to do with the “White Horse” prophecy attributed to Joseph Smith but not accepted by the LDS church. It’s the video discussion that I think is quite intriguing. Once again we get into the “counts, doesn’t count” issue in Mormonism. Also the interviewer and guest talk about how people are going on line to learn more about Mormonism. I think those Mormons who have been anticipating a positive outcome for the growth of their religion as a result of Mitt Romney’s presidential run may want to rethink their desire. Mormonism, in my opinion, does much better when it sort of flies under the radar screen of the general public. I follow John’s Podcast (Mormon Stories) because I find it interesting and consider John to be an honest seeker of truth. Unless this is a recent change of status, John is still a member of the LDS Church. Since he recently made comments on his podcasts he has not been disciplined by the LDS Church; I would take that to indicate he’s still a member. If he left the church, the discipline reference would be irrelevant….unless the church now goes after former members and attempts to discipline them. If he is no longer a member it has to be a VERY recent event.